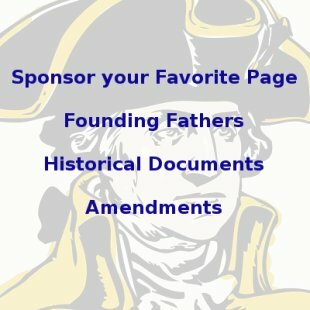 On this day in history, January 31, 1752, Gouverneur Morris, the "Penman of the US Constitution," is born into the wealthy Morris clan of New York, a family which produced generations of prominent leaders, including a signer of the Declaration of Independence, Gouverneur's half-brother, Lewis Morris. Gouverneur was first elected to the rebel New York Assembly in 1775. He became a liaison between the Assembly and the Continental Army, starting a long period of advocacy for George Washington. When the British invaded New York, the family manor, called Morrisania, was overrun. Morris' mother, and many of his aristocratic friends remained loyal to Britain, and he would be exiled for the next 7 years. In 1777, Morris was elected to attend the Continental Congress as a New York delegate. 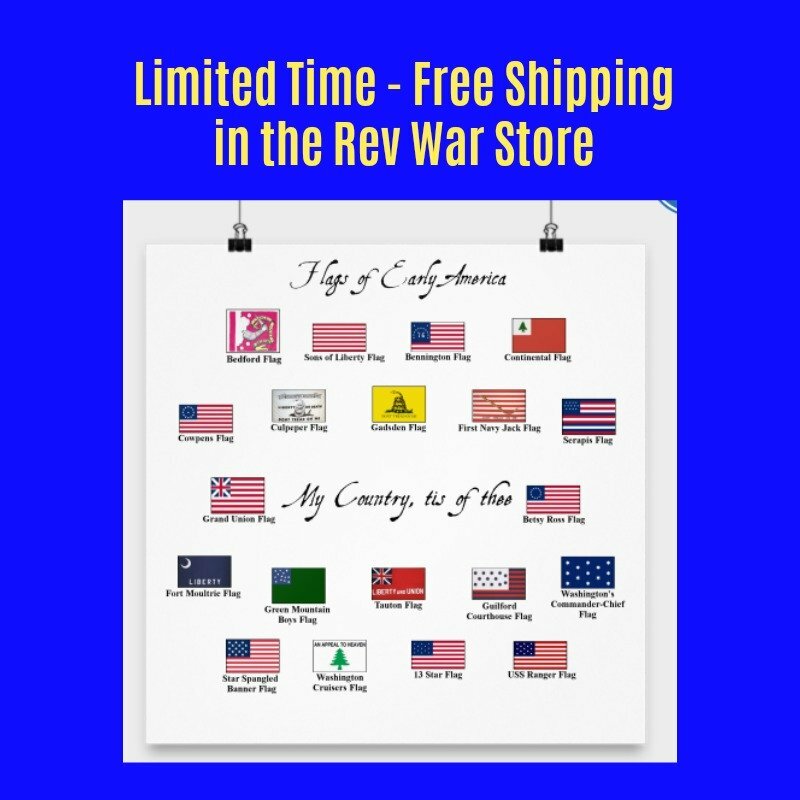 He was immediately placed on a committee to improve the military and was sent to Valley Forge where he saw the deplorable conditions the army was living in. He said it was "an army of skeletons... naked, starved, sick, discouraged" and he became a chief advocate of military reforms. Morris signed the Articles of Confederation during this period and also suffered an unfortunate carriage accident that shattered his left leg, forcing him to walk on a peg-leg for the rest of his life. Gouverneur Morris Statue at the National Constitution Center in Philadelphia Notice the peg leg. 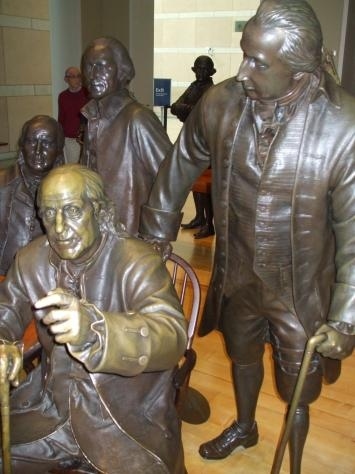 Morris is standing behind a seated Ben Franklin. At this early state, Morris became a strong advocate for an even stronger national government. This view was at odds with many in New York and he was not re-elected to Congress. Instead, he moved to Philadelphia and became acquainted with wealthy businessman, Robert Morris (no relation). 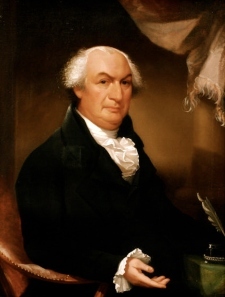 When Robert Morris was elected Minister of Finance by Congress, Gouverneur became his assistant and the two organized Congress' financial dealings for several years. In 1782, Gouverneur introduced the decimal based coin system that has been used in the US ever since and "coined" the word "cent." After the Revolution, Morris was sent to the Constitutional Convention by Pennsylvania, where he played a pivotal role by speaking an astonishing 173 times, more than any other delegate. Morris stood staunchly against slavery and promoted religious liberty at the Convention. His fluency earned him a spot on the committee to actually draft the US Constitution and much of its language is his own, including its familiar opening phrase, "We the People of the United States, in Order to form a more perfect Union..."
Morris went to Europe in 1789 and stayed there for the next ten years. In 1792, he was appointed the US Ambassador to France, during the height of the Reign of Terror. He was deeply involved with helping aristocrats escape, even conducting a failed attempt to help Louis XVI escape. He was the only diplomat to stay in Paris during this time, at great risk to his life. He was instrumental in getting the wife of the Marquis de Lafayette out of France, while many of her relatives were beheaded. Morris' diary of his time in France has been invaluable to historians of the French Revolution.